Changing landscape of the telecom sector in India in the last 1-2 years has forced players to think of consumer loyalty more than ever. For internet service providers (ISPs), pricing and speed have been crucial factors to add and retain consumers. 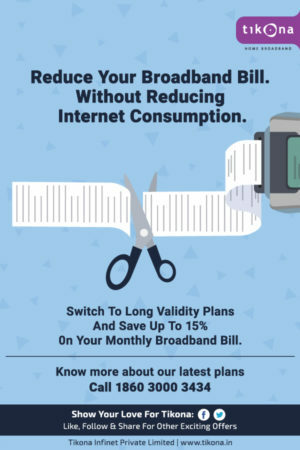 So, ISPs relooked at their broadband plans to be in the game. 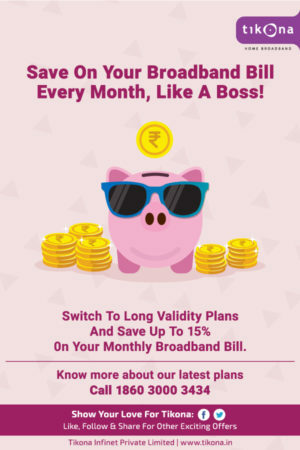 Tikona laid down its broadband plans keeping the price factor in mind. 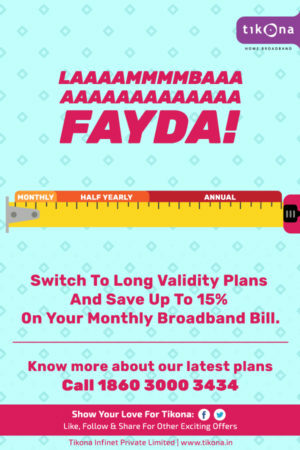 All these plans had a clear price advantage if the consumer would sign up for long validity plans like 6 or 12 months. For e.g. 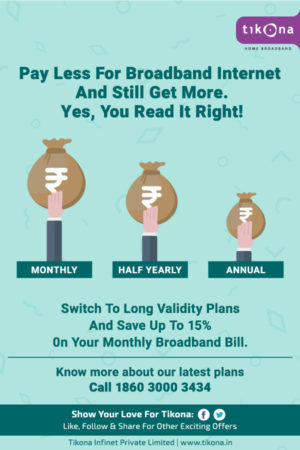 in case of the 10 Mbps plans*, if a consumer switched from a monthly to an annual subscription, he would end up enjoying 17 months of usage @Rs.600 per month instead of 12 months usage @Rs.849 per month. This was clearly a huge upside to showcase if customers opted for long validity plans. 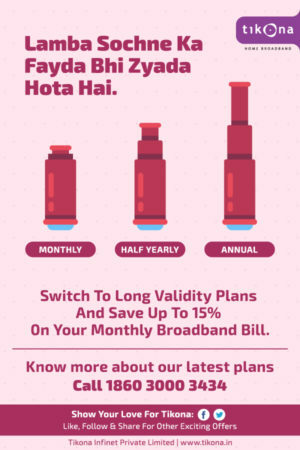 Upgrading existing monthly subscribers to long term commitments was a challenge we were poised with. 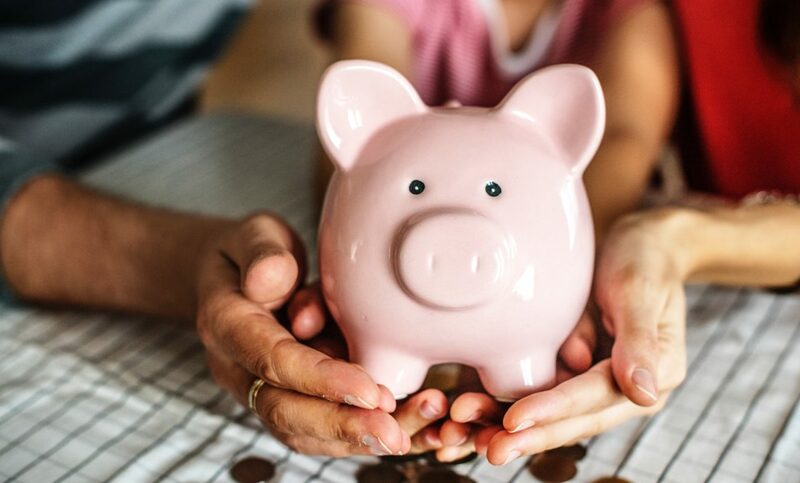 Calculations are boring, but savings are not. So, we delved to understand what drives the Indian consumers. We identified some core hooks of the Indian mindset and began exploring how to develop them in a language that an average Indian speaks and visuals that one can relate to. We designed an emailer campaign which would be sustained, consistent and would connect with various facets of the Indian mindset. Nothing can describe the Indian mindset better. 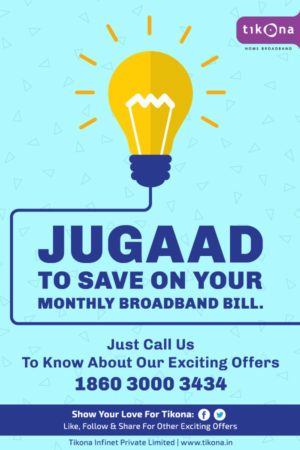 Always on the lookout for solutions through quick fixes or Jugaads, we would love a simple Jugaad to save on bills. Think long term, think binoculars. Depicting measurable benefits using binoculars and measuring scale drives home the message. Unbelievable Truth - Pay less and still get more. Clear benefit illustrated using decreasing size of money bags. Cut the bill short, literally. And using ‘Save Like a Boss’ to create a punch to convey the message.